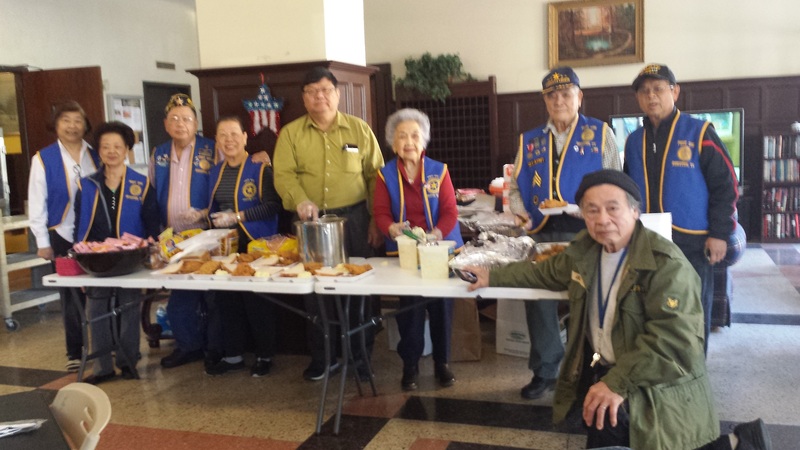 The Chinese American Legion Auxiliary, Chinese Baptist Church Rainbow Fellowship and CBC Bereans Class volunteers served lunch on Thursday, November 15th at Hotel De George near downtown Houston. The lunch was for veterans living there. The group also gave away t-shirts, hygiene items, socks, blankets, Salvation tracts to the resident veterans. The event was from 11 a.m. – 1 p.m. in the historic hotel’s lobby. 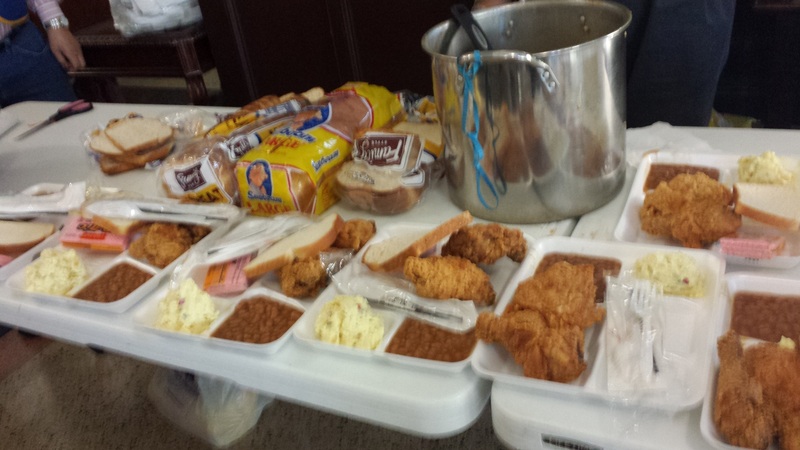 Around 100 veterans at Hotel De George were served a Popeye’s Fried Chicken lunch with baked beans, potato salad, bread, wafer cookies and a bottle of water. CBC’s Dorothy and Daniel Chow organized the pre-Thanksgiving lunch. Hotel De George is located at 1418 Preston near Minute Maid Park. This entry was posted in Asian Community Houston, Houston News and tagged Chinese American Legion Auxiliary Houston, Chinese Baptist Church Rainbow Fellowship, Hotel De George, Veterans Lunch at Hotel De George. Bookmark the permalink.